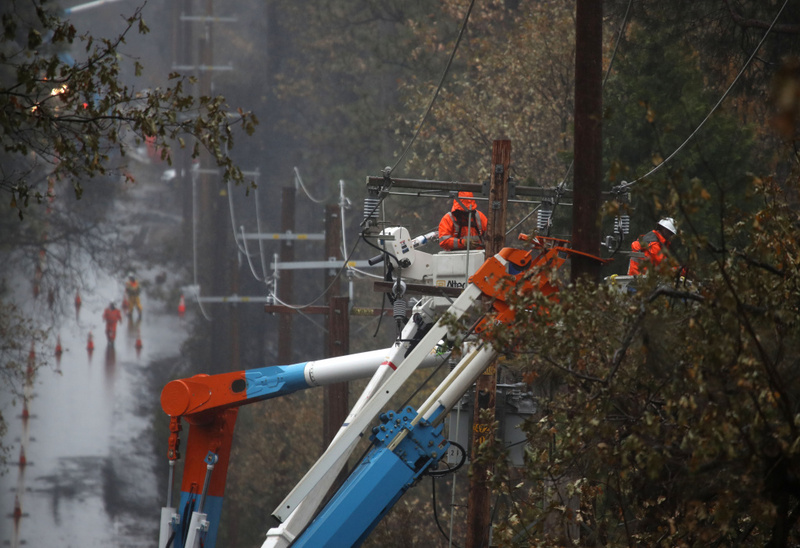 Pacific Gas and Electric (PG&E) crews repair power lines that were destroyed by the Camp Fire on November 21, 2018 in Paradise, California. 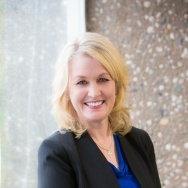 A coalition of law firms known as Northern California Fire Lawyers, filed a lawsuit two weeks ago on behalf of several Camp Fire survivors who suffered injuries and lost their homes and businesses as a result of the region’s wildfires, which began on November 8, 2018. The lawsuit alleges, among other things, that Pacific Gas & Electric Co. was negligent in failing to maintain its infrastructure and properly inspect and manage its power transmission lines, the failure of which ultimately caused the Camp Fire to ignite on Pulga Road near Paradise, California. According to reports, PG&E asked U.S. energy regulators last month for permission to raise its customers' monthly bills to harden its system against wildfires and deliver a sizable increase in profits to shareholders. In an October filing with the Federal Energy Regulatory Commission, PG&E laid out a variety of dangers confronting its transmission lines running through Northern California, saying its system faced a higher risk of wildfires than any other utility. San Francisco-based PG&E made the request a month before the Camp Fire broke out and quickly ballooned into the deadliest U.S. wildfire in a century. No cause has been determined, but speculation has centered on PG&E, which reported an outage around when and where the fire ignited. PG&E already faced financial pressure from its suspected role in a series of deadly fires in California wine country last year. The company's filing last month said it needed to boost revenue to keep investors from fleeing, noting that its credit rating was downgraded and its shares had plummeted since the 2017 fires. Fire investigators have blamed PG&E equipment for 12 of last year's wildfires. In eight of those fires, investigators said they found evidence of violations of state law and forwarded the findings to prosecutors. California regulators generally allow utilities to pass on the costs of those lawsuits to their customers, but only if the company can show it prudently managed its equipment. The new state law makes it easier for utilities to bill customers if they can show a fire got worse from things outside their control, like severe weather. Meanwhile, California’s Legislature will be asked to protect utilities from possible bankruptcy by shielding them from billions of dollars in liability linked to this year’s deadly swath of wildfires, it was reported last week. Assemblyman Chris Holden (D-Pasadena), plans to introduce a measure that could allow PG&E and other utilities to pass onto customers some costs related to this year’s fires, the San Jose Mercury News reported. Who's responsible for the Camp Fire and should utilities be shielded from wildfire liability? We have reached out to Pacific Gas & Electric but they did not provide a spokesperson in time for the interview.